Sampling Network. This pioneered de- for undersea positioning purposes. 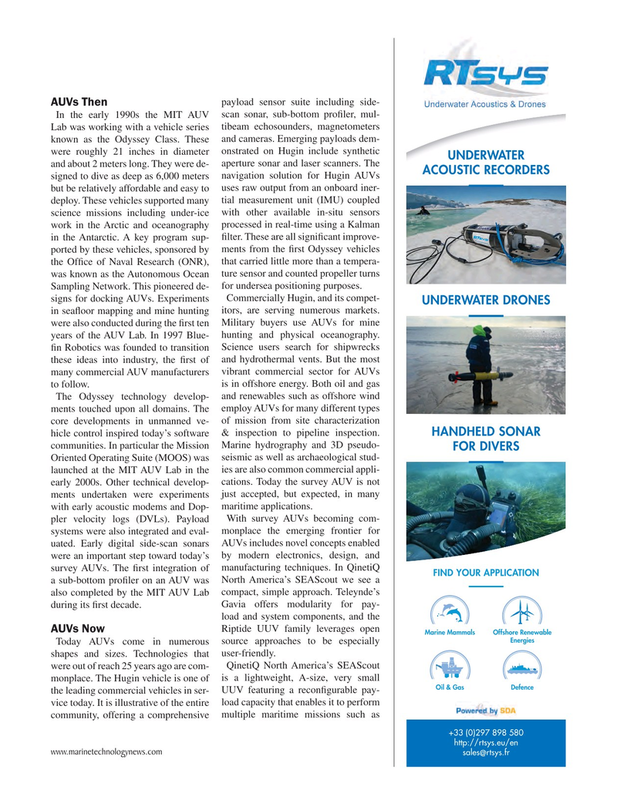 Oriented Operating Suite (MOOS) was seismic as well as archaeological stud- launched at the MIT AUV Lab in the ies are also common commercial appli- early 2000s. Other technical develop- cations. Today the survey AUV is not ments undertaken were experiments just accepted, but expected, in many with early acoustic modems and Dop- maritime applications.